A corrupt prison officer from top security HMP Belmarsh has been found guilty of leaking stories about celebrity inmates to the Daily Mirror over six years. Grant Pizzey, 50, made nearly £20,000 from the tabloid for tips about “notorious” prisoners including Great Train robber Ronnie Biggs, hate preacher Abu Hamza and serial killers Steve Wright and Levi Bellfield. He also passed on information to journalist Greig Box Turnbull about life at the high security jail which resulted in stories about Easter eggs, a laptop for a terror suspect and higher prices in the prison canteen, the court heard. Pizzey was on trial at the Old Bailey charged with misconduct in a public office, with his wife Desra Reilly, 48, who was accused of aiding and abetting him. The couple, from Widecombe Road, Eltham, south east London, denied wrongdoing but were found guilty after the jury deliberated for eight hours and 40 minutes. The pair shook their heads as the foreman of the jury delivered the majority verdicts. Using Reilly as the go-between, Pizzey passed confidential information to Mr Box Turnbull between December 1 2005 and January 31 2012. Reilly first contacted both The Sun and the Daily Mirror in December 2005 with a story about So Solid Crew rapper Dwayne Vincent, stage name Megaman, being found with a mobile phone after he was attacked in Belmarsh. Sun journalist James Clothier got back to her, only to be told that the Mirror had been first, the court heard. Reilly told him that she did not know how much she would be paid by the Mirror and that it would depend on who she dealt with in future. As well as the “exclusive” about Megaman, she handed over another tip to the Mirror about a smuggled pen gun security scare at Belmarsh, the court heard. Mr Clothier responded by promising to “top any offer for stories, particularly from the Daily Mirror”, jurors were told. But Reilly went on to receive cheques and transfers to her bank account from the Mirror on 47 separate occasions. Prosecutor Julian Christopher QC said some were for stories while others were to keep the source “on side” and encourage more tips in the future. The relationship developed to the point where Mr Box Turnbull could use Pizzey to confirm information he had heard elsewhere, such as whether James Bulger killer Jon Venables was at Belmarsh. Pizzey, who worked as a prison officer at Belmarsh in south east London from 2000, knew he was not allowed to speak to the press, which is why he used Reilly, a railway cafe worker, as the contact. When the couple were arrested in July 2012, they declined to answer questions in police interview. The case hinged on whether or not Reilly alone had made money by passing on information she picked up from “casual conversations” with her partner. Giving evidence, Reilly told jurors that she kept her contact with Mr Box Turnbull a secret from Pizzey after he “poo-pooed” the idea of going to the press. She said that Pizzey would regularly “let off steam” and regale her with stories about the famous inmates. Seeing her stories printed in the Mirror gave the waitress “excitement”. Judge Richard Marks refused the couple bail and remanded them in custody until sentencing next Friday. Afterwards, Detective Superintendent Larry Smith, from Operation Elveden, said: “When public officials behave in this way, they breach the trust and confidence placed in them by the public to act with honesty and integrity. “In this case the evidence presented to the court showed that Pizzey was aware that in his role as a prisoner officer, selling confidential information obtained in the course of his duties was wrong. A former prison officer who leaked stories to the Sun about a Serco-run immigration centre in west London has pleaded guilty to misconduct in a public office. 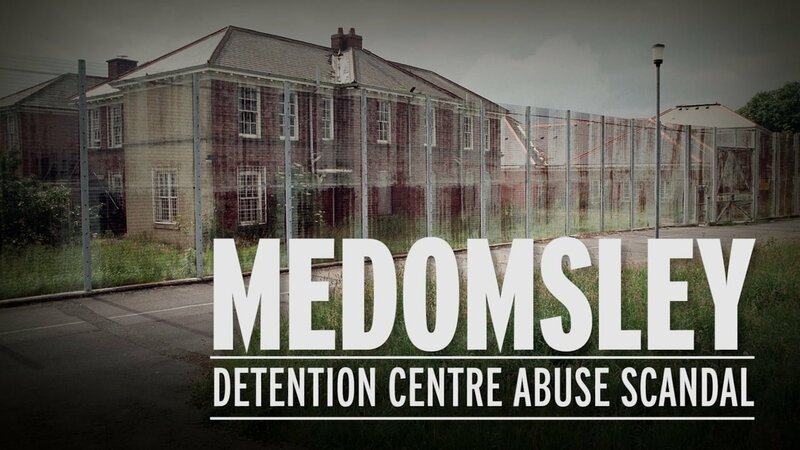 While working as a prisoner custody officer, Mark Blake, 42, from Slough, was paid nearly £8,000 for tips about the Colnbrook secure immigration removal centre in Hillingdon which resulted in 10 stories being published by the tabloid newspaper over three years. 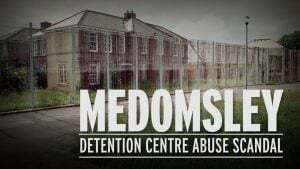 As well as naming individuals including a 9/11 plotter, the articles highlighted issues with the way the centre was run with headlines such as “Wiis for foreign lags in UK jails”, “Gastrojail” and “We fund massages for foreign killers”. Following a trial at the Old Bailey in March, a jury could not agree a verdict on whether Blake’s dealings with the Sun reporter amounted to misconduct. The Crown Prosecution Service later announced it would pursue a retrial against Blake while dropping the case against his co-accused Tom Wells. On the day the retrial was scheduled to start, Blake changed his plea to guilty after hearing that he may be spared jail to look after his two children. Blake’s lawyer Graham Trembath QC had formally applied to judge Mark Lucraft QC for an indication on what the maximum sentence would be if the defendant changed his plea. In his response, Judge Lucraft noted the impact of the harm caused by the stories was difficult to quantify although it did affect the reputation of Serco and the UK Border Agency and made external recruitment more difficult. The court heard that Blake had admitted that his motivation was partly financial and partly public interest. The judge also took into account various factors raised by Mr Trembath including the length of time since the offence and the fact Blake is the primary carer of his two sons, aged six and 13. He concluded that ordinarily after a trial the maximum sentence would be 18 months in custody, but a guilty plea would reduce that to 15 months. The judge told the court that a pre-sentence report would be needed to assess the impact of custody on Blake’s children which could provide “strong reasons” for suspending the sentence. Blake, who sat in the well of the court, pleaded guilty to a single count of misconduct in a public office between January 2008 and December 2010. He was granted conditional bail until sentencing at the Old Bailey on September 21. A former prison officer has been jailed for 10 months for selling “salacious gossip” about celebrity inmates to the Sun and Mirror newspapers. While working at Pentonville Prison, Reggie Nunkoo, 41, was paid £600 by the Mirror for information he gave reporter Graham Brough about Jack Tweed being on suicide watch and a prison break in 2009, the court heard. Nunkoo, of Walthamstow, east London, went on to approach the Sun and handed journalist Neil Millard details about singer George Michael crying in his cell and being moved to a “soft” prison after he was jailed for driving under the influence of cannabis in 2010. He was also paid in 2011 for a Sun article headlined, Acid thug hid drugs in his cell, about Daniel Lynch, who was convicted of arranging an acid attack on TV presenter Katie Piper. The officer, who used the pseudonym Roy, admitted he was purely motivated by money and had pocketed a total of £1,650, the court heard. When he was arrested in June 2013, police found photographs of celebrity Blake Fielder-Civil, ex-partner of the late singer Amy Winehouse, at his home, prosecutor Jonathan Rees QC said. Nunkoo earlier pleaded guilty to two counts of conspiracy to commit misconduct in a public office and was today jailed for 10 months at the Old Bailey. The Common Serjeant of London said his conduct had amounted to a “flagrant breach” of the terms of his employment and a “gross breach of trust”. He ordered Nunkoo to pay £1,000 he had gained through his crime plus a £100 victim surcharge. In mitigation, his lawyer Jonathan Page said the information Nunkoo handed over was “more salacious gossip that anything that undermines security”. He said the offences were committed in the context of a “picture of a marriage in crisis and a wife demanding a better lifestyle to be provided her than Mr Nunkoo could provide on his wages”. As a result, the defendant, who has shown “genuine remorse”, is now back living with his parents in the bedroom he grew up in, Mr Page said. At the same hearing, the judge handed a four-month sentence suspended for 12 months to Metropolitan Police Service civilian worker Rosemary Collier, who admitted misconduct in a public office in relation to her dealings with Mr Millard in 2010. Collier, who worked at the central communications command in Bow, was paid £700 for information from a confidential briefing note on how to act in the face of a terrorist shooting incident. It led to a story in the Sun headlined Mumbai Raid Fear for Xmas Shoppers, the court heard. Collier, 40, of Tiverton in Devon, appeared tearful in the dock as the judge ordered her to pay the sum total of the money she gained amounting to £772, plus a £80 victim surcharge. Mr Millard, 33, of south Croydon, and Mr Brough, 54, of south-west London, were both cleared of conspiracy to commit misconduct in a public office following a trial last month at the Old Bailey. In his evidence, Brough said he did not believe Nunkoo was a prison officer at the time and he only give him “limited information” for his stories. Following the sentencing, Metropolitan Police Detective Chief Superintendent Gordon Briggs, leading on Elveden, said: “Collier and Nunkoo leaked confidential information obtained in the course of their duties to journalists for their own private financial gain. Two former prison officers have been arrested in Suffolk in connection with Scotland Yard’s inquiry into alleged inappropriate payments to police and public officials. The 47-year old man and 44-year-old woman were arrested by Operation Elveden officers on Wednesday morning. They were arrested for alleged misconduct in a public office and conspiracy to commit misconduct in a public office and are in custody at a police station in Suffolk. There have now been 89 arrests under Operation Elveden which is looking at allegations of inappropriate payments. It is being supervised by the Independent Police Complaints Commission and is running alongside Operation Weeting, the Metropolitan Police’s phone-hacking inquiry. An Isle of Sheppey prison admin officer who had a secret relationship with a gangster serving life for murder has been spared jail. Kathryn Finch, 37, enjoyed dozens of illicit phone conversations with Carl Gordon while she was employed as an clerk at HMP Swaleside in Eastchurch. Former gym instructor Gordon, now 27, was locked up in 2006 after stabbing Michael Campbell, 21, in Turnham Green, west London after a row over a vandalised car. During his time at the category B prison, Gordon joined forces with 58-year-old arms dealer Paul Alexander – who supplied weapons to the gang behind the murder of schoolboy Rhys Jones – to run an underworld gun ring from behind bars. Gordon and Finch, of Bramley Way, Eastchurch, exchanged 25 phone calls and more than 60 text messages between April 13, 2011, and May 31, 2011 at Swaleside. She admitted a single charge of unauthorised transmission of an image of sound by electronic communication from within a prison at Southwark Crown Court. The mother-of-three has now been sentenced to 14 months’ imprisonment – suspended for two years. Judge Peter Testar said Finch has a weak personality and was probably targeted by Gordon for “his own purposes”. Catherine Rabaiotti, defending, said Finch was suffering from depression, anxiety and alcoholism. Finch was also given a 12-month supervision order with activity requirements to attend a women’s group and undergo training or work. A prison officer has been jailed after she enjoyed a secret lesbian romance with an inmate serving life for murder in a Holloway Prison. Sophia King-Chinnery, 25, embarked on a relationship with Sarah Anderson after she was locked up at the notorious jail in Parkhurst Road for a minimum of 15 years for stabbing a cyclist to death in the street. They exchanged hundreds of love letters in which Anderson addressed the prison officer as her “wife”, Southwark Crown Court heard. King-Chinnery also allowed the inmate to keep a mobile phone for eight months so the pair could spend hours chatting to each other. But the convicted murder was left distraught after hearing rumours that King-Chinnery was cheating on her. After being confronted by bosses King-Chinnery accepted she had an “emotional relationship” with her jailbird lover after experiencing difficulties with her colleagues, but letters between the two were said to “make clear” the relationship was sexual. King-Chinnery, of Hook Rise South, Surbiton, Surrey, admitted to two counts of misconduct in a public office and sobbed after she was sentenced to 10 months in prison on Friday. Sentencing, Judge Michael Gledhill QC told her: “The fact of the matter is you were a prison officer and from the moment you became a prison officer, you were well aware of the rules, which don’t include having any sort of personal relationship with the prisoners that you are supposed to be looking after. The judge gave Anderson a concurrent three-month prison term after she admitted to causing the transmission of a sound or image from prison. A female prison officer based in Chelmsford who was accused of having an inappropriate relationship with an inmate will not face any further action and has resigned from the Prison Service. During previous appearances at Chelmsford Crown Court Elizabeth Surrey, (above) an officer at HMP Chelmsford, had denied misconduct in public office over claims she had a relationship with a male inmate at the category B jail. The Crown Prosecution Service has now withdrawn the allegations, the court confirmed. The 25-year-old, from Chelmsford, had been due to stand trial next month.